Here it is, yet another article on traffic. What's our obsession with traffic? Traffic is everything to a website owner. Or, at least, it should be. Our experience as a ten year old web host has, however, made us come to the conclusion that most site owners don't pay any attention to traffic. In fact, most site owners don't have a clue as to how much, or how little, traffic is coming to their site. How do we know this? After a new client signs up for hosting, after about a week or so we send that person an email telling them that we'd be happy to install traffic stats on their website, for free (of course). A nice package that gives detailed information about all site visitors — what pages a person visited, the time spent on each page, the visitor's location (city, state, country). All sorts of nice, helpful information that lets a site owner learn not only how many visitors his or her site is getting, but also helpful information such as what pages on the site are popular, and from what parts of the world traffic is coming from. How many people take us on our free, no work on the site owner's part, offer? Maybe one percent. New site owners simply don't seem interested or care about traffic. When it comes time to renew hosting, some people renew, some don't. Of course we can't determine exactly why a person who doesn't renew, does not renew. But logic tells us that if a person doesn't renew hosting, then that person probably had few, or even zero, sales. And while most people who don't choose to renew hosting simply ignore the renewal invoice and let their website disappear, some people do respond to the invoice with a note along the lines of "I give up — I didn't make any sales!" Our web hosting plan costs about three dollars per month — about $36 per year. If a site owner makes more than that (more than $36 in a year), then it would make sense for that site owner to renew and press onwards. So a safe assumption is that a person who doesn't renew hosting after a year probably did not even make that very minimal threshold. If you start up a website with one or more products or services to sell, and after one year you haven't made $40 or so, you've done something seriously wrong. While every new site owner has dreams of getting rich, or making enough money to quit their day job, those are pretty unrealistic goals. Contrary to all the "get rich online" posts you'll encounter, making any money at all online takes time, work and commitment. Even doing that, wild riches seldom happen. But it is certainly possible for a site owner to make enough money to pay their hosting bill, along with a nice little side income that will pay some bills. When that doesn't happen, the site owner is left with two options. Drop out and quit, with the thought that all this talk about making money online is nonsense, or, try to determine why their little online venture failed. Of course the second of the above options is the best one. Try to determine what went wrong. Then, if in the future the person considers giving it another go, that person will be able to come up with some ideas on what to do differently to try to attain success. If an online business fails, it's because either the site didn't get much traffic, or the site's offerings weren't of interest to people, or the site's offerings were overpriced. Quite often the issue is the first of those — the site got very little traffic, so the site had virtually no chance of making sales. No traffic means no sales. Regardless of what the site selling, regardless of how the site's products or services are priced. With that in mind, how could a site owner not want to keep tabs on site traffic? Bottom line: monitor your site's traffic. The Internet consists of hundreds of millions of websites, with billions of web pages. As excited as you are about your own, new website, your site is a needle in a hay stack. It's literally one of many millions of sites. You might think your site is getting a lot of traffic, but I can tell you right now, it isn't. It's very possible that you're site is getting only 30, 20, 10 or even close to zero visitors on any given day. 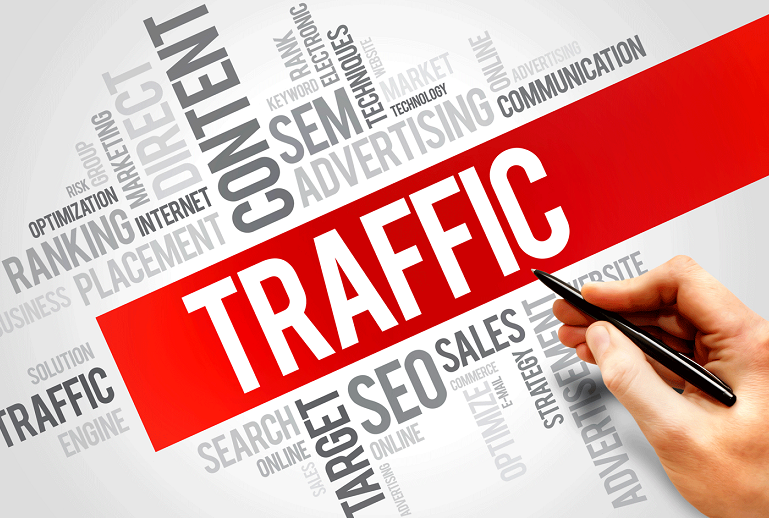 Put traffic analytics on your website. Monitor your traffic. If you see that you're site is getting very little traffic (which most likely is the case), then you'll need to take action. What is that action? Pay an SEO firm to work to get your site ranked in Google searches. If you don't want to spend money doing that, take some actions on your own. Participate in forums related to your niche (your market), leaving a link back to your site in your post signature. Find interesting blog posts related to your niche, and leave comments (with a link) on those posts (meaningful, helpful, insightful comments). In short, do SOMETHING! You can find more ideas on how to promote your website in THIS ARTICLE and THIS ARTICLE on our site.